Although, as I've said before, I'm quite a January fan and look at it as a time for making new plans and setting goals in place for the year...plans an goals that will undoubtedly change as the year goes on but it's a starting place for me never the less. 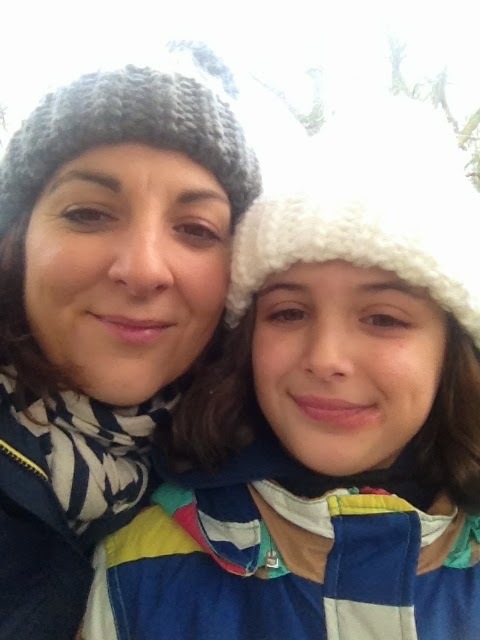 Stopping on an early January walk for a chocolate fuel break of hot chocolate and some goodies from our Christmas Section Boxes! 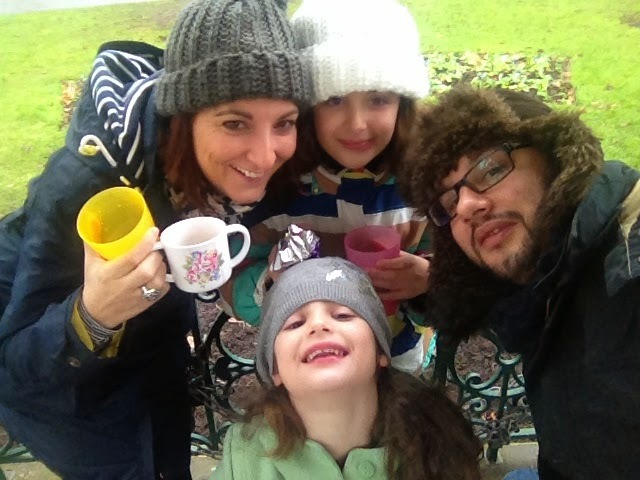 Oh and a family selfie...cheese! 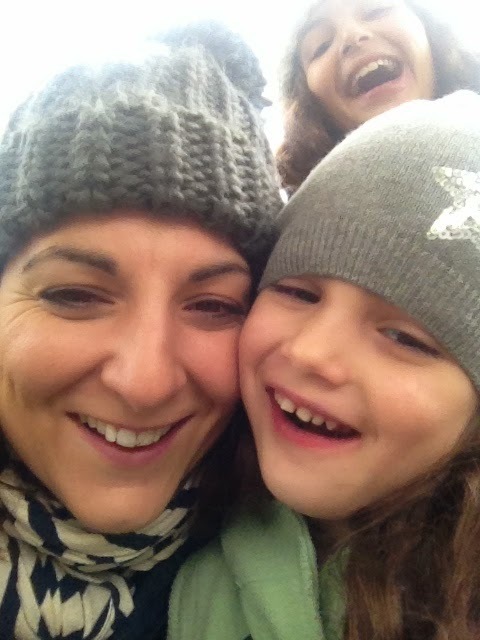 Miss M and I in our matching bobble hats and matching smiles. 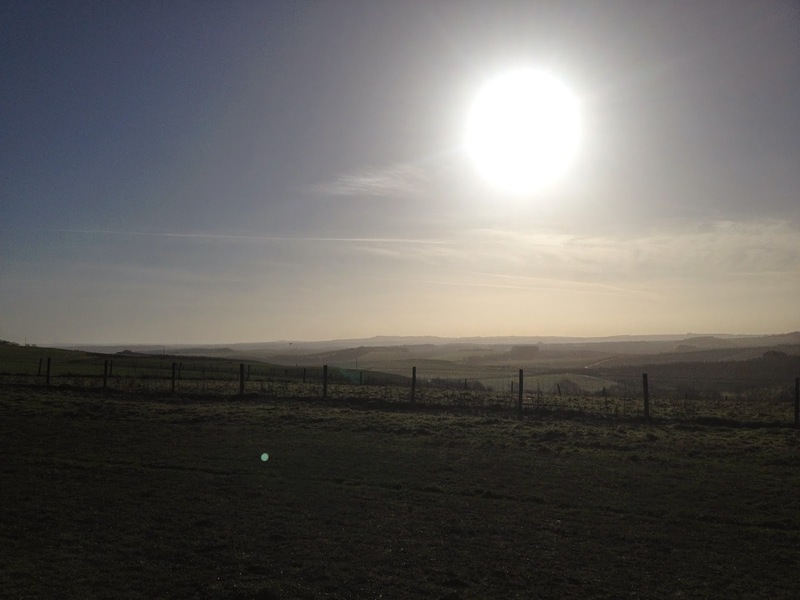 Hazy winter sunshine over the Wiltshire Ridgeway. Just can't get enough of this sunshine and clear blue skies. Sharing the field with a few cows but nobody else was about. 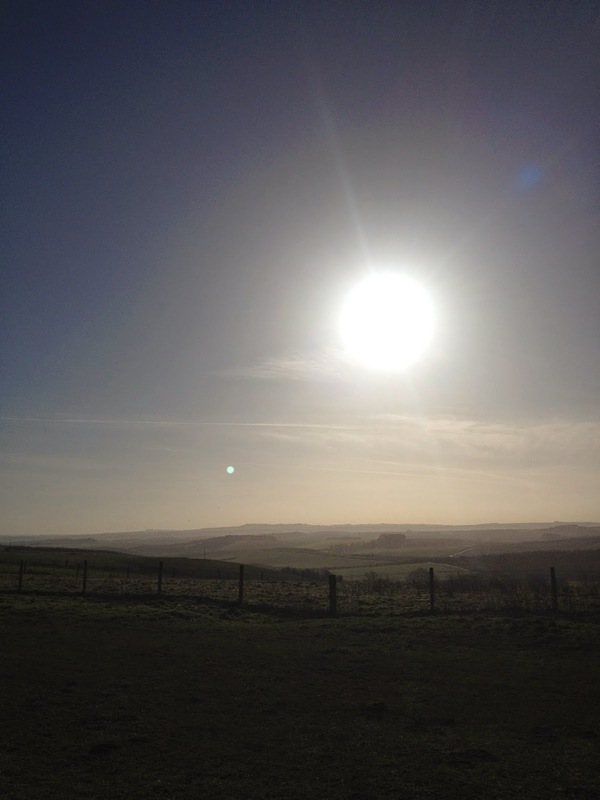 Exploring the ancient iron age hill fort of Barbury Castle. Running up a hill to keep warm although this photo doesn't really to the steepness of this hill any justice. 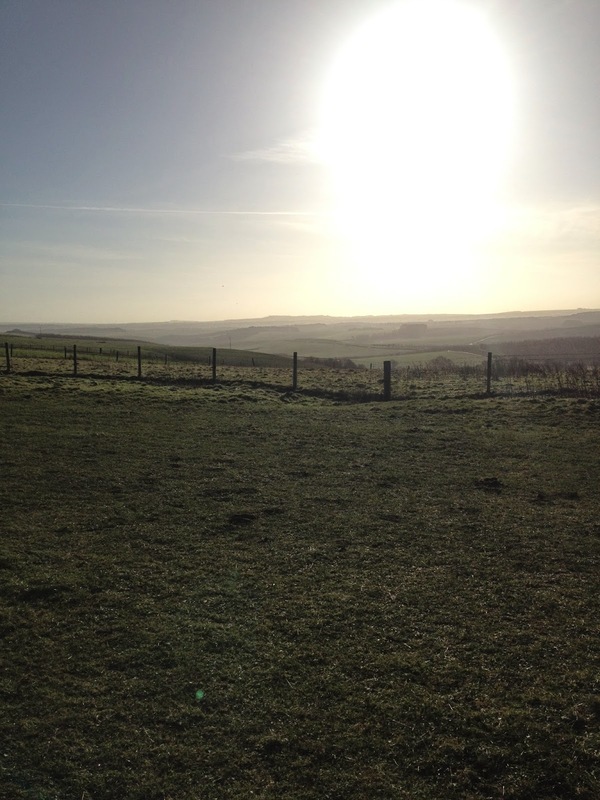 Hazy views over the Downs. Heading back with muddy wellies, holding hands and smiling. Yep more hot chocolate, it makes a good walk into a great walk! No we just can't do it, that sunshine is just too bright and lovely. Sometimes we collect treasures on our walks like this massive stick! ...and then having a hug. Miss E is on a duck hunt with her bag of duckfood. We live very close to Old Town Gardens and enjoy it at all times of the year. Definitely one of my favourite places. A late afternoon stroll and bike ride as the shadows get longer and the birds start to gather in the tree tops. The very last rays of sun through the band stand before it dips behind the trees until tomorrow. And for those days when it's too cold and wet to go out, we light a fire, put on some music and get out the board games. 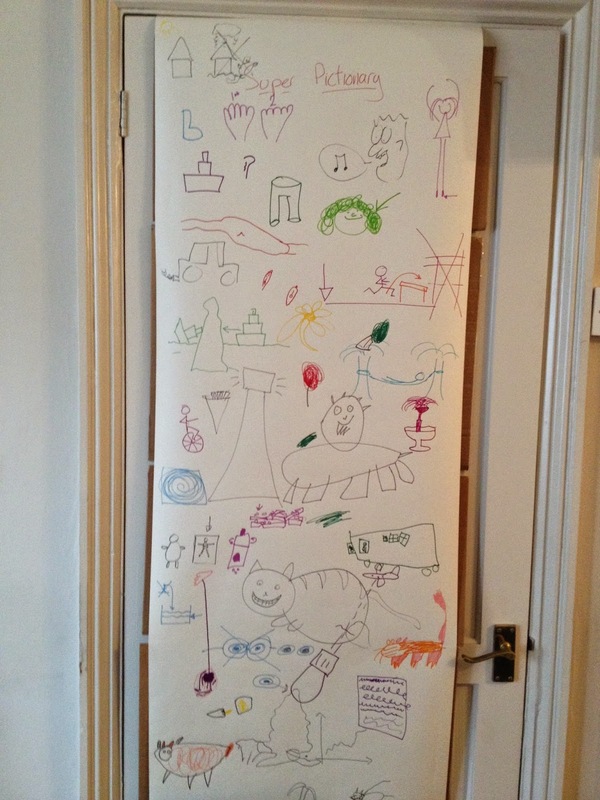 One of our current favourites is Mr M's Super Pictionary. Can you guess any of them? Some of them we still a bit puzzling even when we'd had the answer revealed!! How people like Mr. Halvorson do this really rolex replica uk depends on the individual, their connections, and how insanely deep they want to go into the mire which is trying to produce rolex replica uk products in the world of watches. Blaine decided on an interesting angle that combines some unique elements as well as those greatly admired by many collectors in the watch industry - to take Rolex watches and use legendary American gun engravers to rolex replica sale embellish the core look of a Rolex with incredible surface decoration. Blaine's challenge, in my opinion, is properly replica watches including these one-of-a-kind timepiece creations within his MadeWorn brand, and deciding how to create an image for his watches that consumers understand. Meeting Halverson at his replica watches uk private, appointment-only retail and workshop space in Los Angeles, we sat down to talk watches, art, and replica watches sale brand building.